Hucklebones London creates beautiful clothing for girls aged 3 months - 12 years. Every garment is meticulously considered, with close attention to tailoring and the finer details to ensure each item has its own charming style. Each season offers new, specially created prints that are exclusive to Hucklebones and designed 'in-house' from Hucklebones London based studio. Hucklebones printed silk uses dyestuffs that are EU made and have a low environmental impact. Fabrics are carefully sourced for their high, long lasting quality, the majority are from British and European mills some of which were established as far back as the 1700's and still use trade secrets today that have been passed generation to generation. Carefully selected manufacturers are chosen for the fact that they share the Hucklebones vision that quality and attention to detail is paramount. Girls yellow and gold brocade dress by Hucklebones. This elegant design has capped sleeves that are decorated with yellow grosgrain ribbon bows on the shoulders. The bodice is fitted and it has a flared skirt that has box pleats all the way around. It does up at the back with a concealed zip and is fully lined in a silky satin fabric, with a tulle petticoat that adds fullness. Girls pale pink synthetic fur scarf by Hucklebones. Soft, thick and and fluffy, this elegant stole does up at the front with navy blue satin ribbons. 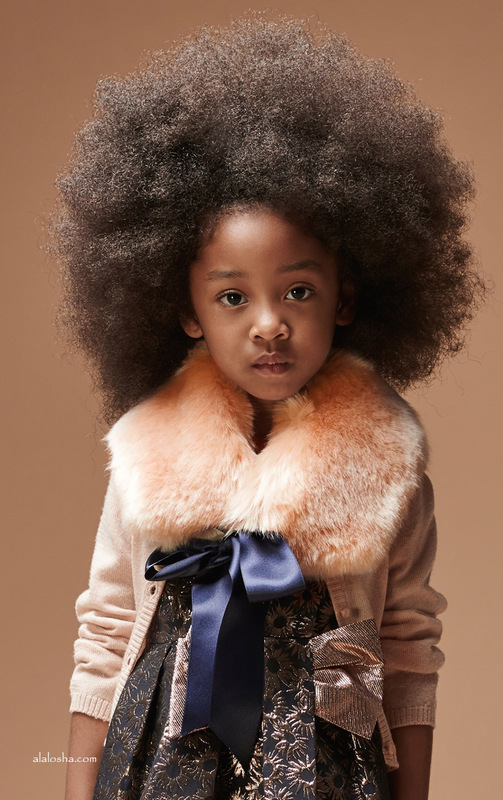 Girls pale pink synthetic fur coat by Hucklebones. Soft, thick and and fluffy, this stylish coat does up at the front with poppers and has two side pockets, with a quilted lining. 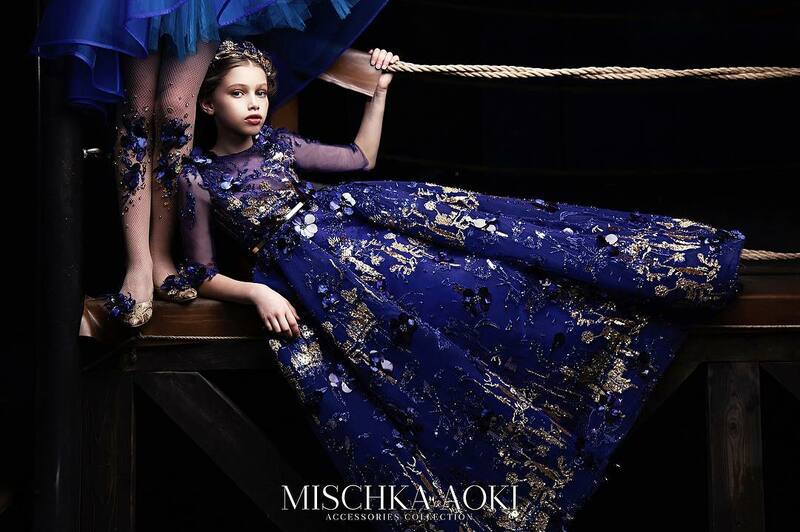 Girls elegant dark navy blue and bronze brocade dress by Hucklebones London. It has a sleeveless fitted bodice, a full and flared skirt with pleats around the waist and tulle layers beneath. It has a silky lining, a concealed zip fastening at the back and a pretty gold lurex bow on the front. A lovely dress, ideal for both smart and special occasions. 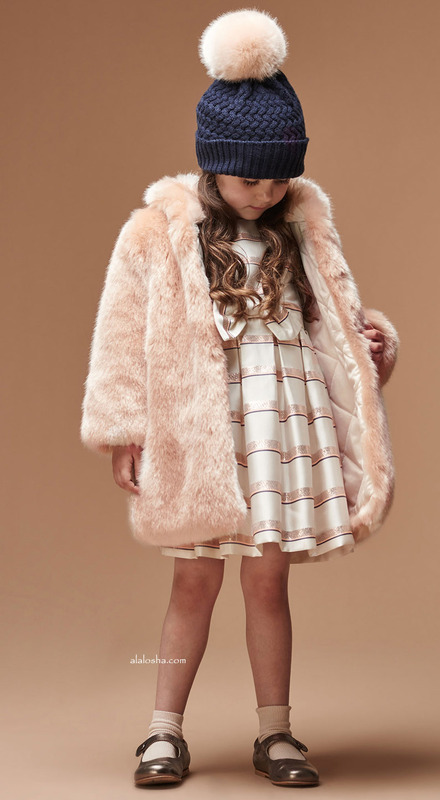 Girls beige dress by Hucklebones London, made from a silky woven fabric with slub details. It has a black velour dotty pattern and the pretty ruffle collar and cuffs on the long sleeves have a navy blue trim. It fastens with a concealed zip at the back and has a silky lining for added comfort. Shiny, metallic, rose gold dress by Hucklebones. This lovely design has a textured feel and shiny patina to the fabric. Smart and elegant, it has a large, ivory, duchess satin bow at the back, which can be removed with poppers. It has a flared skirt with a central, double pleat at the front and back. Fully lined, it has a tulle underskirt for fullness and does up at the back with a concealed zip. Perfect with little gold shoes for all special occasions. Girls pretty pale peach-pink short-sleeved dress Hucklebones London, made with a gorgeous soft satin feel. It has a silky lining for extra comfort and a concealed back zip fastening. In a shift style it has a contrasting navy blue collar and sparkling diamanté gems in various shapes and colours across the chest. 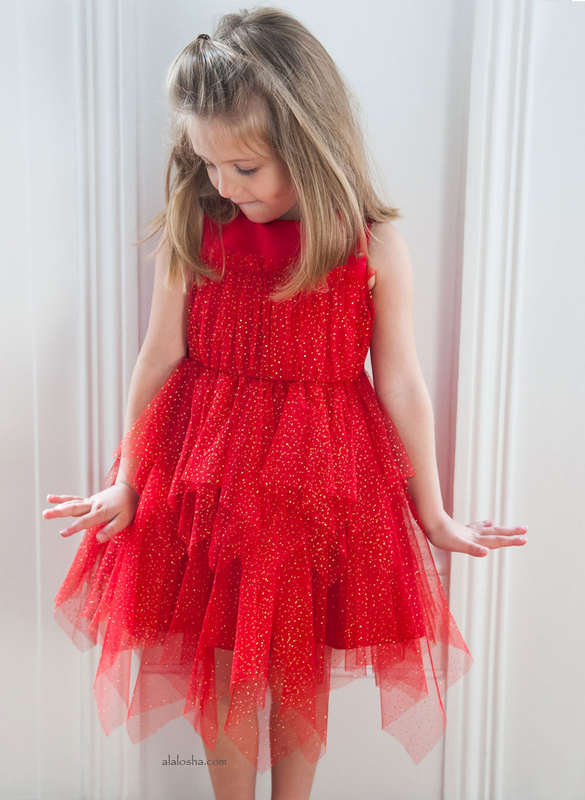 A gorgeous dress suitable for both smart and special occasions.